A few real-life scenarios to inspire your dreams. 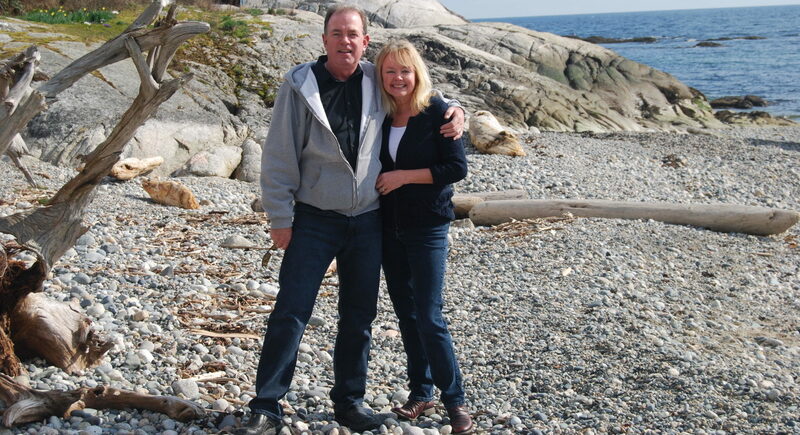 In 2015, Jeannie and Doug Rae were pleasantly surprised to discover the selling price of their West Vancouver neighbour’s home. Less than a year later, a same-size house on an exact-size lot on their street fetched a cool $1-million more. Once the couple realized the value of their view home, which Jeannie purchased in 1986 for $180,000, moving inevitably came up. In May 2016, their home sold quickly for a record-breaking amount and the couple began searching for oceanfront properties on the picturesque Sunshine Coast. “I already had cousins living on the Sunshine Coast. Every time we visited them, we liked it more and more,” says Jeannie. After a few months, they found the perfect waterfront rancher in Roberts Creek. Extracting their home equity allowed the Raes the financial freedom to travel the world with some of the proceeds of the sale. They also purchased a condo in Palm Springs, where the snowbirds spend two months out of the year enjoying warm, balmy weather. The 57-year-old Vernon says that since moving to the Okanagan, she has shed 12 pounds and is living the life of her dreams. Priced out of Downtown Vancouver, Biaviti looked at other ways to get into the real estate market. Rather than be saddled with a huge mortgage – even if he were able to qualify – Biavati chose the alternative: rent the condo of his dreams in Vancouver and buy income properties on the Sunshine Coast. With a $600,000 investment, he bought a brand-new two-bedroom apartment and, soon after, an older home in the small coastal town of Gibsons. Within a year, he sold the apartment for one-third more than he paid for it, and purchased a second rental home close to the beach. “Both [properties] were rented when I bought them, so that gave me cash-flow security,” he says. “The rent from both covers 80 per cent of my expenses. For me, this was the best scenario… I get to live by Science World [in Vancouver], where I can walk to everything I need, and I’m in the real estate market. Entertainment choices aren’t as good as in the city. Operating hours for businesses are more limited than in the city. Healthy lifestyle with accessible outdoor pursuits, wildlife at the doorstep. Rental income covers most expenses to maintain long-term investments. Faster entry into the real estate market, which priced him out of urban residential property. Don Campbell, senior analyst at the Real Estate Investment Network (REIN), has seen hundreds of his clients repeat those same three scenarios. “Whether you decide to rent or sell your Vancouver home in order to cash in your equity should first depend on your lifestyle,” Campbell says. Playing Devil’s advocate, he says that leaving behind family, friends and a beloved neighbourhood can prove to be more difficult than some people realize. “For those who are really attached to their neighbourhood, but want to cash in on their home’s equity, I suggest they downsize and buy a new condo in or close to their neighbour- hood” says Campbell. Yet what Campbell has seen over the last few years are more and more Vancouverites and moving outside the Lower Mainland. “I tell people to ask themselves the following: what is your goal in selling, do you want the condo lifestyle, or maybe you want to buy a vacation home… Whatever you choose, ask yourself important questions, because if you make it just about the money, there can be regrets down the road,” says Campbell. Although Vancouver has long been a favourite city for real estate investors and home buyers alike, prices and taxes are forcing buyers to consider other markets, says realtor Tony Browton of RE/MAX City Realty. That’s making the Sunshine Coast and similar communities attractive to many. 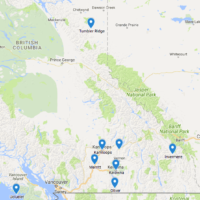 Just 30 kilometres away from downtown Vancouver, Sunshine Coast detached home prices are about a third of what they are in the Lower Mainland, and condos can still be purchased for less than $350,000 in many spots. “Between July 2016 and July 2017, Sunshine Coast housing prices have increased by nearly 21 per cent,” he says. 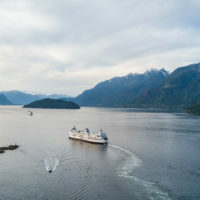 “At the same time, the rental market is tight, meaning revenue properties rarely sit empty.” The Sunshine Coast is currently exempt from both B.C.’s speculation tax and foreign buyers tax. “More than that, people who move here soon realize how great the lifestyle is,” he adds.